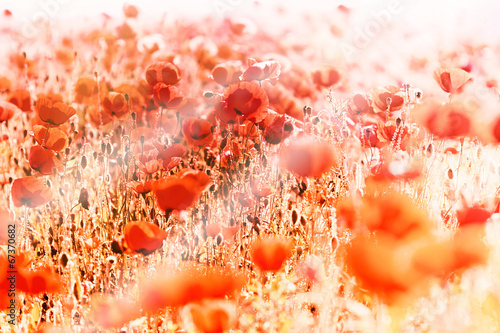 Greatly composed, red poppies start each day with grace. Each day brings different situations. Wind, rain, heat – if you have your life purpose, you will survive everything. The photo wallpaper depicting red poppies bathed in sunlight will be a perfect addition to bedrooms, living rooms and kitchens. May the power of red colours enliven the entire interior.